Oli’s yellow tomato plants in the background. Remember that Volkswagen commercial that invited us to experience Fahrvergnügen? Fahrvergnügen is that untranslatable word that simply means every aspect of enjoying the life out of your Volkswagen. The other day Oli introduced me to some Swedish words that have no English counterparts. They’re charming and convey so much in just one word whereas in English it would take a sentence or two to say the same thing. It all started with today’s recipe, summer salad with wild strawberries. For the salad he just used what he had in the fridge: Romaine, cooked chicken, avocado, and a luscious summer tomato. For a healthy dressing he added a little zing to some low fat yogurt by adding a dollop of horseradish and mustard. Sprinkling the grilled romaine with a bit of Balsamic adds just the right touch of tart sweetness. For a true taste of summer he dotted it with wild strawberries from his back yard. 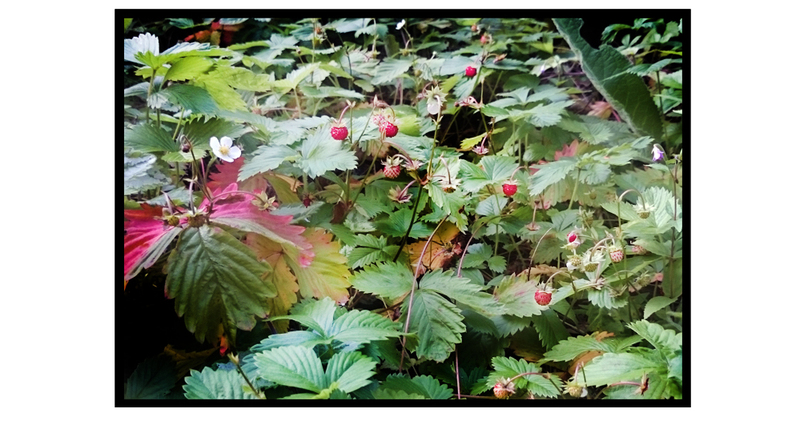 Lucky guy he is, because wild strawberries are hard to find. The Swedish word for these tiny berries that explode with huge flavor is smultron. When Swedes talk about some very special place they love or someplace where they love spending time they use a word that is untranslatable. It’s a favorite place free from stress where they can totally relax and forget about the rest of the world. The word is smultronställe which means wild strawberry place. Such a peaceful picture painted in one word and it evokes so many different things to different people. Gotta love it. Lagom is a great word that describes just taking your share and no more – just enough. Swedes see themselves as pretty lagom. They don’t overdo things – not too little, not too much. My favrorite after smultronställe is tretår. Being the coffee lover that I am, tretår will be an invaluable word when visiting Sweden. Tretår is the second refill of a cup of coffee. Long story short kaffetår (coffie-tear) is the first cup of coffee. Tår means tear, so it means “a small amount of coffee”. If you would like a second cup the word to use is påtår (on-tear). Yes, on is strange there but på means on or on top of. So påtår is a refill. Tretår (three tears) is the second refill OR the third cup of coffee. My kind of coffee language! With this little Swedish lesson, perhaps when you make Oli’s summer salad why not pack everything and go for a picnic at your favorite smultronställe! 1. 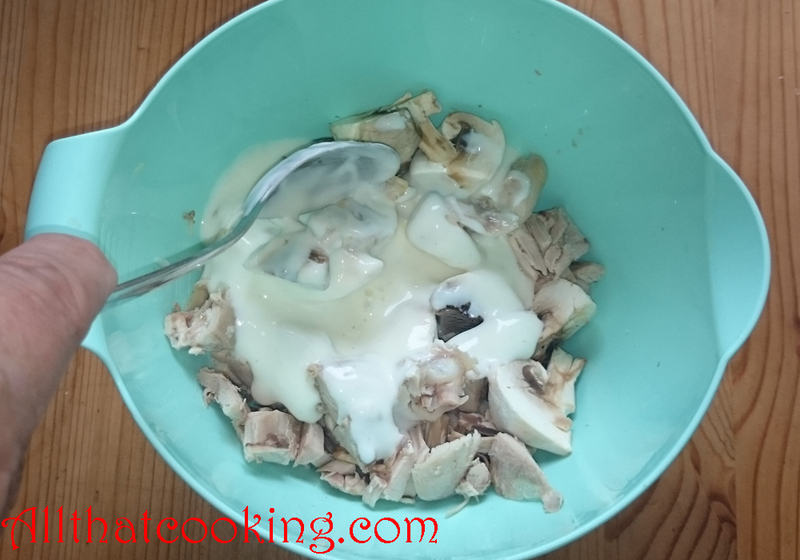 Toss mushrooms and chicken into a large bowl. Plop in yogurt, mustard and horseradish and stir until well dressed. 2. In a separate small bowl, gently mix avocado and tomato then gently fold into the chicken mixture. 4. Heat olive oil and butter in a large skillet over high heat. Place cut side of Romain in skillet and cook for about a minute. Turn and cook the other side. Both sides should be golden brown and slightly charred. Give them a sprinkle of salt and a grind of pepper. Alternately – brush each side with olive oil and toss on the grill until golden brown and slightly charred. 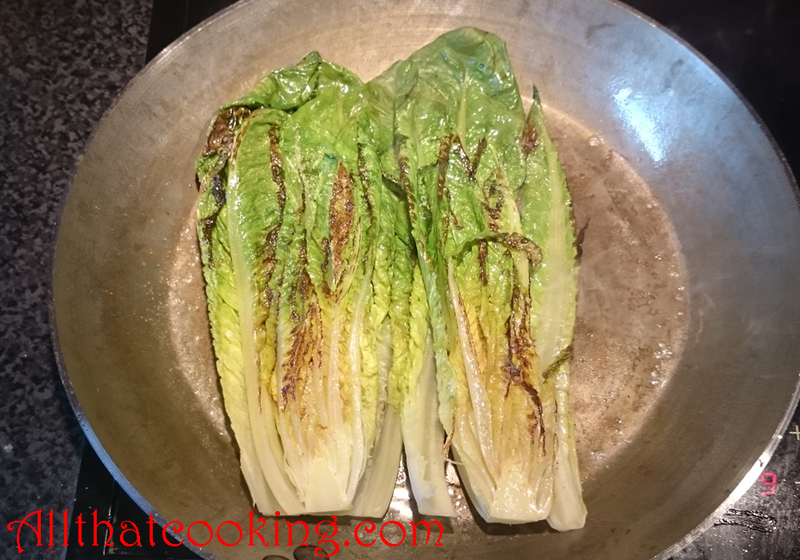 Place lettuce on 4 serving plates and sprinkle each with one teaspoon of Balsamic. 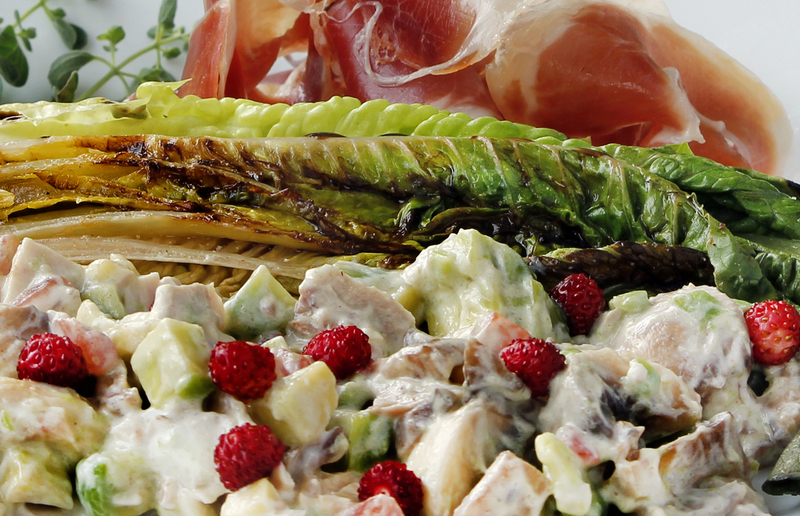 Divide chicken salad among plates and dot with wild strawberries. Add Serrano to each plate and as they say in Sweden smaklig måltid. 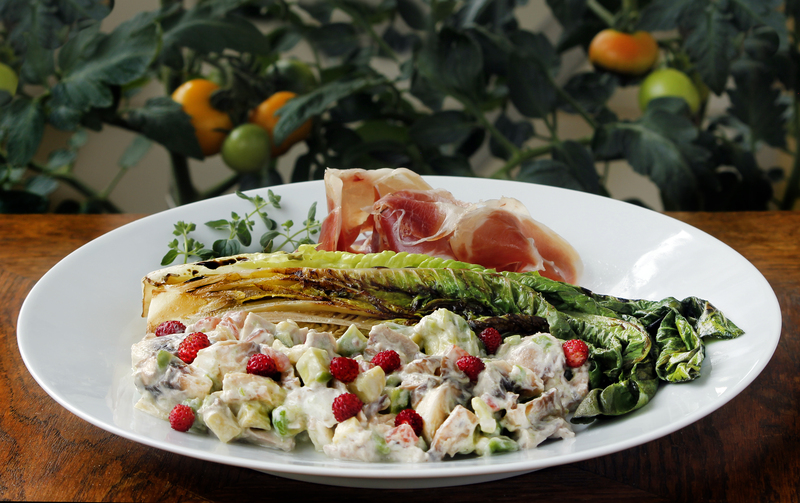 Gallery | This entry was posted in Main Dishes and tagged chicken salad, grilled Romaine, Serrano, smultron, wild strawberries. Bookmark the permalink. Swedish sounds fun! I love those wild strawberries and I bet the salad tastes fantastic. A difficult language for me even though I’m pretty good at learning foreign languages. However, I think the language of food is easily spoken and understood anywhere. SImply damn delicious n refreshing summer salad!!! Thanks Dedy. Just a few of those tiny strawberries add a big punch. I love wild berries, they always taste better:) yum!